A giant twist on the game of Kerplunk! Try not to lose your marbles! Game consists of a large 4'H plastic tower that stands upright on a base containing two separate trays. Straws are passed through holes in the side of the tube to form a "web". “Cannon” balls at the top of the tube are held in place by the web. 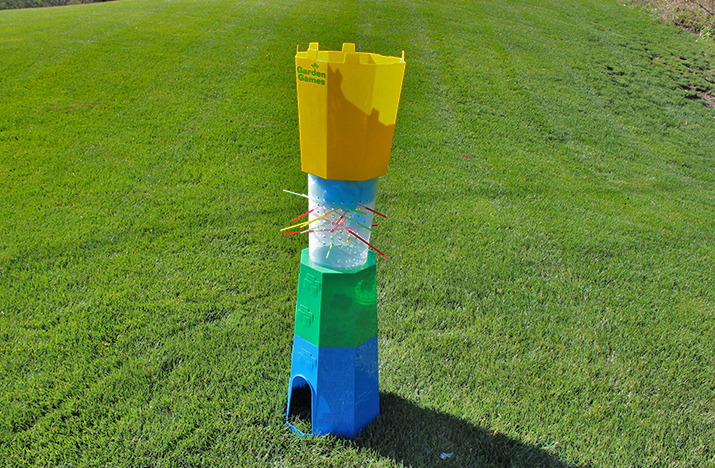 Players take turns removing a single straw from the tower while trying to minimize the number of balls that fall through the tube and into their tray. Player who accumulates the largest number of dropped marbles loses. Comes with 24 straws and 30 cannonballs.